The instructions below are for creating a standing committee in Interfolio Review, Promotion & Tenure. 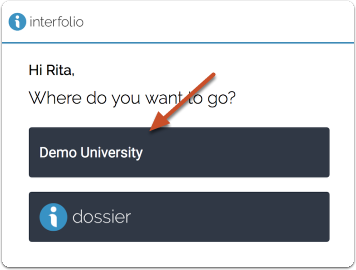 Standing committees are created from the User & Group Management page. 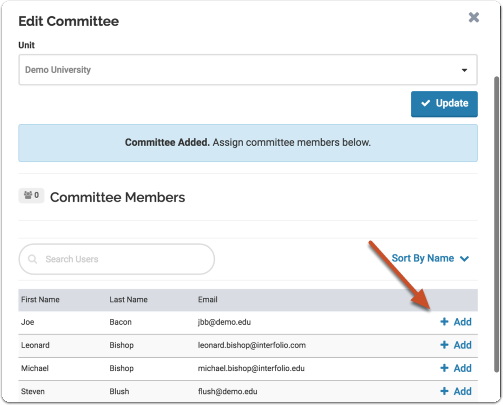 Administrators can add a standing committee to any organizational unit in the hierarchy. 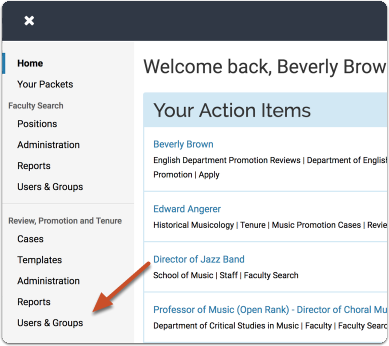 Note that you can create an ad-hoc committee when setting up or editing the review steps for a case. 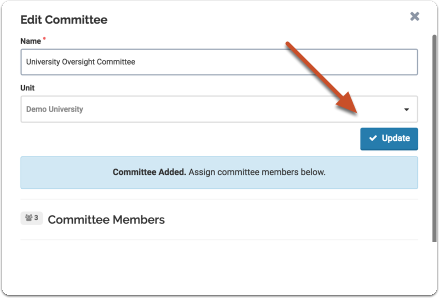 Only existing users can be added to a standing committee. 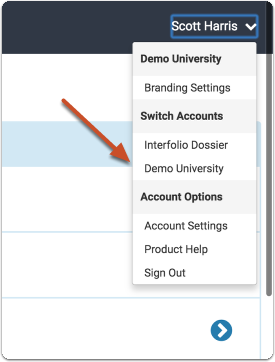 However, you can simply create a user and add them here if it is necessary.